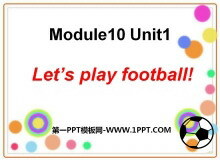 《Let's play football》PPT课件2 play football play basketball play ping-pong go swimming Listen and choose. 1.Let's play ping-pong! No! I'm hot. 2.Let's play basketball! OK! Let's play! 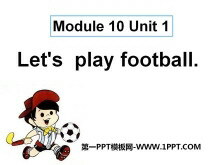 3.Let's play football! 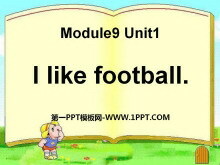 G..
《Let's play football》PPT课件 Lets say a chant. Zoo Lions and tigers at the zoo. Monkeys and elephants are there too. Big and little tall and short. Fat and thin long and short. So many animals at the zoo! 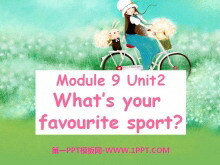 Let..
《Whats your favourite sport?》PPT课件2 Guess! This is a ball. Its black and white. What is it? Whats your favourite sport? My favourite sport is ... ... ... Have a chant! Yellow yellow. Favourite colour. 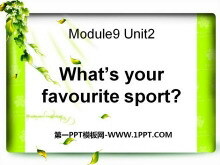 Footb..
《Whats your favourite sport?》PPT课件 I like basketball I like swimming. I like dancing. I like football. I like singing. Whats your favourite sport ? Its football. Its ping-pong. ... ... ... Whats your favour..
《I like football》PPT课件 Chant Lions are big cats are small. Monkeys are short elephants are tall. Pandas are fat. I like them all. New words like 喜欢 I like. I like football/ basketball/ ping-pong. 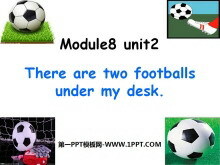 I like m..
《There are two footballs under my desk》PPT课件 watch and answer: How many ping-pong balls in the classroom? How many footballs in the classroom? How may basketballs in the classroom? 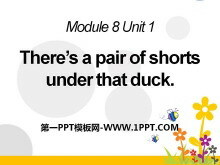 listen and number: listen..
《There's a pair of shorts under that duck》PPT课件3 These are my shorts. a pair of shorts These are my shoes. a pair of shoes Listen and point: Where are Damings shoes? 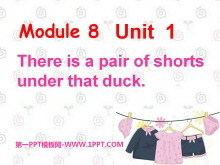 Listen and repeat: Theres a pair of shor..
《There's a pair of shorts under that duck》PPT课件2 chant clothesclothesour clothes shirt shirt my shirt shortshort my short sock sock my sock shoeshoe my shoe clothesclothesour clothes. 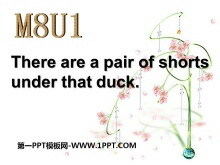 shirts shirts our shir..
《There's a pair of shorts under that duck》PPT课件 Listen to the dialogue a shirt. a pair of shorts. a pair of shoes. a pair of socks. 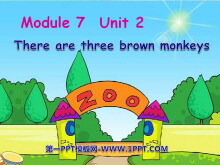 Look and say Home work Listen and read the dialogue ... ... ... Look and s..
《There are three brown monkeys》PPT课件4 How many ? 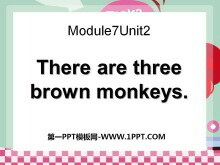 There are three brown monkeys. There are seven black and yellow tigers. There are two white horses. How many brown monkeys? There are brown monkeys. 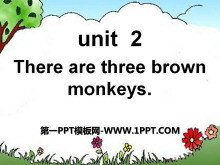 How many..
《There are three brown monkeys》PPT课件3 Listen and tick There is a pencil There are pencils There is a ruler There are rulers There is a schoolbag. There are three schoolbags There is a monkey There are monke..
《There are three brown monkeys》PPT课件2 some 一些 some horses 一些马 There are some horses. There are three horses. There are some tigers. There are some birds. There are some snakes. ... ... ... There are se..